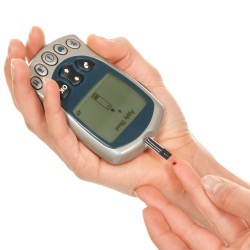 Diabetes is a very common medical disorder in the 21st century. It affects millions of people around the world. Symptoms include polydipsia, polyuria and hyperglycemia. Patient may also feel hungry frequently. Other symptoms of diabetes include neuropathy and associated tingling with numbness in the extremities. Type 1 diabetes can also lead to blurred vision and diabetic ketoacidosis which can be life-threatening. Diabetic patients may experience increase in weight. Fluctuations in blood sugar level are very common in uncontrolled diabetes. Generalized nausea and occasional vomiting are also seen in patients with diabetes. Let us try to understand more about the important diabetes symptoms. Diabetic patients get dehydrated pretty soon. Increased thirst (polydipsia) is a result of uncontrolled blood glucose level. This is because of the fact that the patient’s ability to retain water in the body is hindered by the changing blood sugar levels. Increase in thirst is a direct consequence of increased urination. Diabetic patients feel the need to urinate more often than usual. This is more common in patients who have high blood sugar. Severity of these symptoms depends on control of diabetes. Poor control can worsen the symptoms significantly. Body weight is a function of carbohydrates, proteins and fats. Abnormal insulin levels can lead to imbalance in this function. This results in increased weight due to the accumulation of protein and fat in the body. Patients with chronic diabetes can also experience cardiac symptoms due to the increased weight. However, patients may also experience decrease in weight if their insulin level is chronically low. Diabetic patients with increased weight often feel weak with mild to moderate exertion. Changes in weight are a direct result of fluctuations in the insulin levels. Abnormal blood sugar levels affect body’s ability to fight against diseases. Patients with chronic diabetes have relatively weaker immune system. This can lead to bladder and skin infections which are hard to control. Female diabetic patients may experience vaginal infections. Bacteria in our body become more active when immune system is weakened due to diabetes. Infections due to diabetes take a long time to heal. Infection in diabetic patients is also a result of dehydration, poor absorption of nutrients and increased pathogen activity. Diseases involving nerves are very common in patients suffering from diabetes with neurological complications. When diabetes affects vagus nerve, patients have difficulty in emptying their stomach. This is medically known as diabetic gastroparesis. Diabetic neuropathy often leads to peripheral nerve damage. This is one of the most common neurological complications of diabetes. This type of nerve damage affects the extremities of diabetic patients. It leads to numbness and tingling of the extremities. Chronic diabetes may result in foot ulcers due to the peripheral neuropathy. Chronic diabetes can affect the eyesight significantly. Patients may experience blurry vision and poor eyesight. Glaucoma is a very common eye complication of diabetes. It leads to increased pressure in the eyeball. Diabetic patients lose the ability to control fluids in their eyeball. This results in increased fluid accumulation. 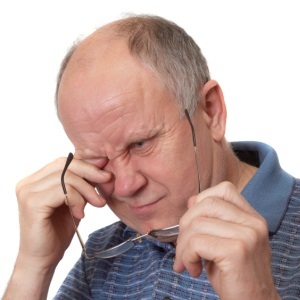 Increased pressure affects the surrounding structures of the eye which can eventually lead to eyesight loss. It is very common for patients with diabetic glaucoma to have teary eyes. Fluid accumulated in eyeball drains through their eyes. Diabetes is one of the leading medical disorders around the world. Symptoms of diabetes include nausea, vomiting, nerve damage, heart disease, increased thirst and frequent urination. Uncontrolled blood sugar can also result in increased ketones in the blood stream of the individuals.